When working in the writing room editor, authors can preview their new content on the website without having to publish it. From the writing room settings, you can set up one or more websites where the content can be previewed. This allows you to have a production server, staging server, development server, etc. Discover how to handle multiple environments in Prismic. You are able to add as many previews as you need for all your environments. 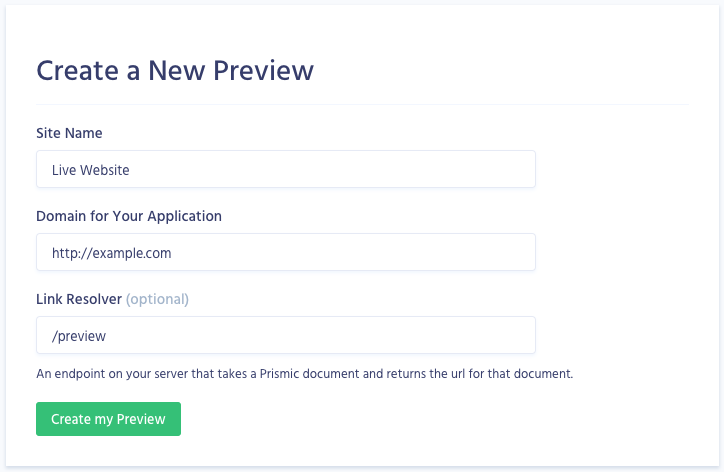 Once you have configured your preview in the settings, you just need to implement the preview functionality in your front-end app. Read more about this in our developer's documentation. Once the implementation is in place, you will be able to preview your content by clicking on the preview button in the top-right of the document edit page.